need to improve your competitive edge? Whether you are an elite athlete, fitness nut, or weekend warrior, be kind to your body with reiki! Not only are we adding to our longevity when we participate in sports, training and other physical activities, we are contributing to the quality and vitality of our years. 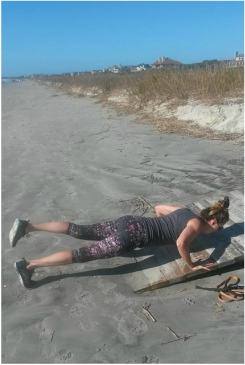 As a Certified Personal Fitness Trainer, I can promise you that the way we take care of our bodies outside of the gym is as important as the physical rigueur of our training programs. 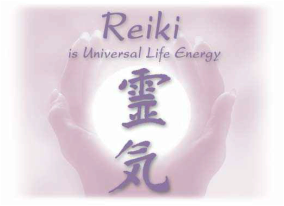 positive results of Reiki come without painful stimulation, injections, medications or perspiration! When we experience muscle soreness after workouts or after participation in athletic events...our body is speaking to us! It is telling us that we have trained effectively. Soreness also indicates that the muscles have been microscopically damaged. When properly managed, the healing cycle following physical training results in muscle growth and strength improvements. Incorporating Reiki treatments into the healing cycle of your fitness program invites your body to experience a higher level of healing which super charges tissue to regenerate in larger concentrations, with greater strength and injury resistance. Reiki has been proven to dramatically support recovery from pain and injuries. It is often used with traditional medicine, for repair of broken bones for example, with remarkable results! When Reiki is used to enhance the energy field, it rejuvenates the body's ability to heal itself from lingering pain or recent traumas. Reiki helps you return to the game more quickly. Reiki has been demonstrated to reduce pain and heal injuries 50% faster. It is also recognized as one of the only viable treatments for concussions. The emotional challenges and focus needed for competition send negative messages to the body and interfere with the essential mental game. Reiki treatments bring deep mental and physical relaxation, sleep improvement, enhanced confidence and cognitive clarity to give you the winning advantage! Your body doesn't change with 1 trip to the gym, likewise, your health may not fully restore after 1 Reiki session. Clients typically experience recognizable improvements, and wish to return for additional benefits... and because they love Reiki! You owe it to yourself to learn more about Reiki for fitness improvements and as your "secret weapon" for energy, vitality and sports performance! Jane is walking the talk! Yes you can fit a workout into your day!